In 1896, John Plimmer built his holiday home, Erenora, on this site. 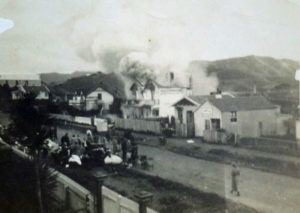 It was a boarding house from 1910 until it burned down in 1923. Replacement accommodation, Steyne House, opened in 1924 and stands here today as Mana Flats. 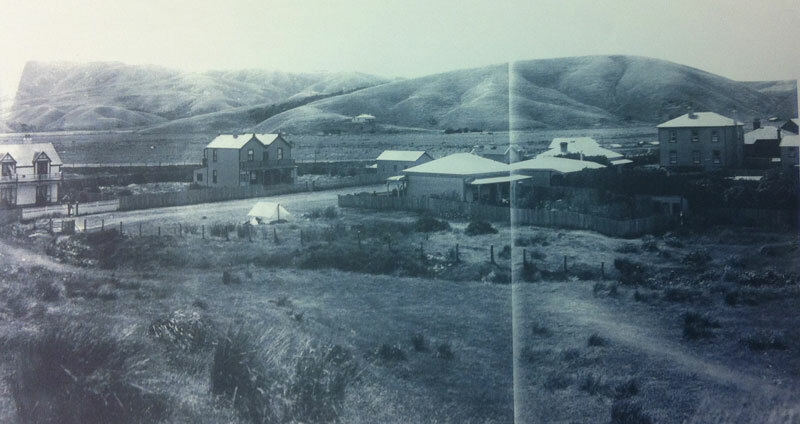 In December 1896, when John Plimmer entertained prominent Wellington citizens (including the Premier) on a special excursion to christen his new holiday home, it was reportedly named Erenora after a ‘young and beautiful chieftainess said to roam the hills around Plimmerton’. Records refer to a local Māori woman named Erenora, whose mother Te Rongo was shot and killed at Wairau in 1843. The section of land on which the house stands is part of what was Taupo No. 3 Block, named on an 1888 map as Erenora. It is probable that John Plimmer spent little time here as other records show that a Mr and Mrs Hannah lived at Erenora from 1898 to 1904. Mrs Laura Hannah ran an early school here. In 1904, John Plimmer bequeathed Erenora to his housekeeper, Emily Kate Wilson, for her lifetime. When Kate died, the property reverted to his granddaughter Ella (Girlie) Plimmer. From 1910 to 1915, Miss H Vaughan ran Erenora as a boarding house. In January 1911 and 1912 social events such as a New Year’s Eve party, a fancy dress parade, and a ‘paper chase’ held for Miss Vaughan’s lady guests, featured in the Social and Personal column of the Dominion newspaper. 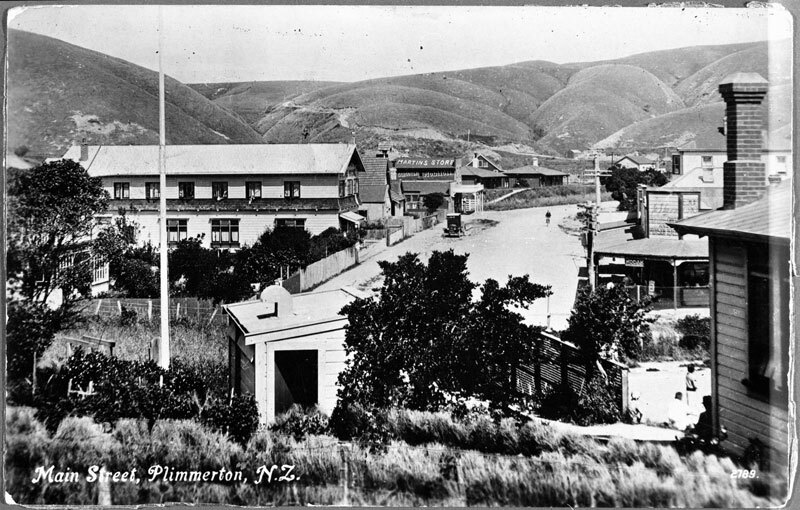 In 1915 when Miss Vaughan moved to the second Plimmerton House at 1 Steyne Ave, Wally Barlow, a local plumber, took over the Erenora property, later buying it from Girlie Plimmer in 1919. His wife continued to run it as a boarding house until it burned down in 1923. Wally Barlow was making breakfast when he discovered the fire at 6.00 am. He immediately roused the boarders who fled to safety in their night attire. Miss Rayne, a Plimmerton School teacher who was asleep on the top storey, was rescued by being helped down a ladder. Sim Martin (from the General Store) raised the alarm by ringing St Andrew’s Church bell. A hastily formed bucket brigade did their best to save the building, but in vain. A new building, another larger boarding house, named Steyne House, opened for business on the site in late 1924, advertising ‘20 well-furnished rooms, A1 cuisine, and electric lighting throughout’. The proprietresses were Mesdames Sutherland and Brady. The proprietresses were Mesdames Sutherland and Brady. Advertisements in 1924 and 1925 extolled many attractions: dancing, with an excellent floor and good music, the safest beach in New Zealand, and a new bowling green, croquet lawn, tennis courts and cricket pitch. Despite these many attractions business cannot have been brisk as a mortgage sale took place in 1928. Today, in 2016, the building still stands, having housed various types of business and accommodation, including a factory on the ground floor. Over the years it has been known variously as The Chalet and Mana House (in the 1940s with Mrs Bauer), and now as Mana Flats.